On the eve of the first year annaversary of the release of the first Warlock's Magic novelette comes the first Warlock's Magic teaser which was filmed in Calabasas, California late last month. Which will air on local TV station WVMD-TV in Los Angeles. The first of the STORY OF BEGINNINGS book trilogy is now out for purchase on AMAZON.COM, BARNES AND NOBLE website. And other online book stores. 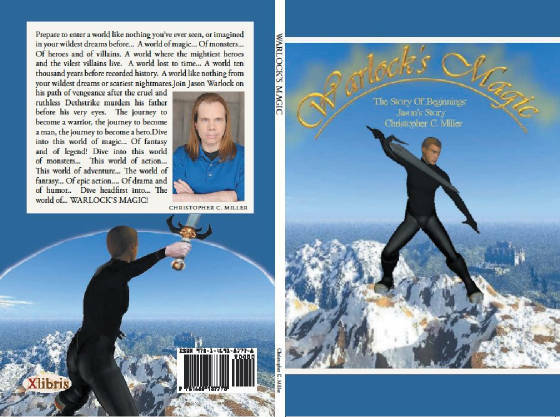 The first book is called WARLOCK'S MAGIC: THE STORY OF BEGINNINGS: JASON'S STORY. News on funding, yesterday I talked to a person who is offering her help to try to get me funding to get the made for video movie off the ground. I think I gave a plausable estimatate of how much the budget should be in realistic terms and it should be doable. 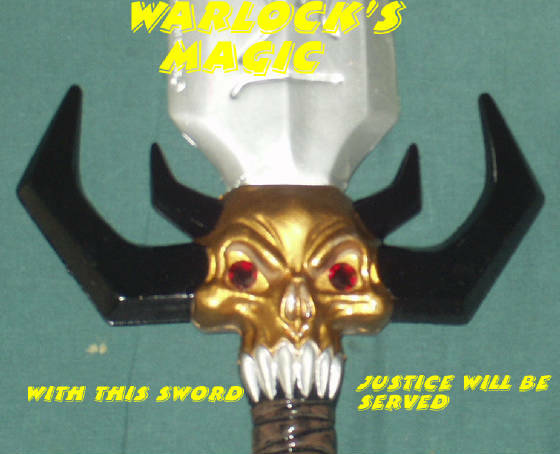 I am hopin to hear something very soon and hopefully within the next couple of months or so the story "Warlock's Magic: The Motion Picture" should be underway. The project that should be about two hours and forty minutes is fun filled action packed that will never make you want to leave that chair until it's over. Sorry that there hasn't been much in the lines of news for the past two years but the time for a major announcement. Within the next few months or so the book will be coming out. It will be called WARLOCK'S MAGIC: A STORY OF BEGINNINGS. With not one but four short stories of the beginings of how the Warlock's Magic story came to be and the early lives of Jason Warlock, Mei Koboyoshi, Sticky-Fingers and Princess Pen Griffin. Also I am adaptating the first story into the book for a made for video movie release. Keep an eye out for WARLOCK'S MAGIC: THE MOTION PICTURE as well. Wendell is working on getting NIGHT OF THE PRANKSTER turned into a CD book before turning it into a pilot movie. So be on the look out for WARLOCK'S MAGIC: THE BOOK: NIGHT OF THE PRANKSTER. Wendell King and I are on the verge of starting the pilot movie. We have cast, we have a studio and we have a company to record it. All we're missing is currency which is an issue we're dealing with right now. Wendell is working on the funding issue and I will keep you all in on progress of the pilot movie. The Manager of Jason David Frank called today and said that Jason read NIGHT OF THE PRANKSTER and liked it. Now it's up to Wendell King, the producer to seal the deal. I'll keep you posted. Sorry about the lack of news for a while but here is the latest. Bad news from the Sci-Fi Channel and ON AIRR productions. The latest news is very good though, Gauntlet Films and Records has picked up the show and we are currently developing the series. Wendell King which is the head of the company is currently building his company from the ground up and I am helping him. We already started talking to cast members that we haven't before through their agents like Nichelle Nichols and Jason David Frank. Will keep you abreast of the latest developments.